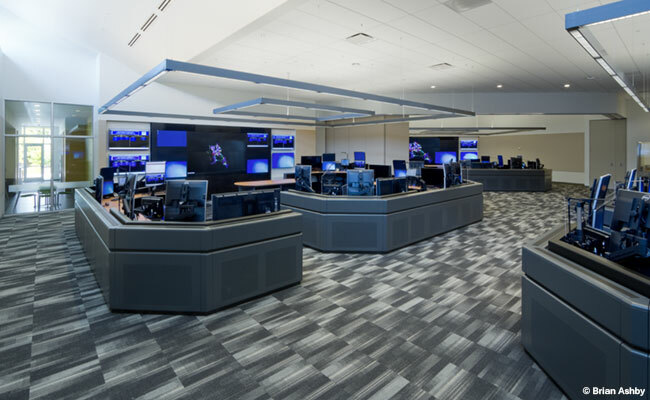 PG&E unveils its new state-of-the-art electric distribution control center in Concord, California. The new 38,000 square foot Concord facility is the second and largest of three new regional facilities, with other locations in Fresno and Rocklin. Together, the three new regional facilities will consolidate several existing PG&E distribution control centers to deliver enhanced electric reliability and resiliency using smart grid technology for over 16 million PG&E customers throughout Northern and Central California. Program Management: Project Management Advisors, Inc.